The Phoenix Prize Pack Resurrects! We are excited to announce the return of the Phoenix Prize Pack, which return to Star Trek Online on Xbox One and Playstation 4 from Thursday January 22nd at 8am PT to Thursday, January 29th at 10am PT. Just like Zefram Cochrane’s experimental vessel, the Phoenix Prize Pack blazes a trail into new frontiers! And, following in the model of its mythological namesake, the Phoenix Prize Pack also represents the return from the ashes of items, ships and other rewards that have been retired from Star Trek Online, and are no longer accessible by any other means. 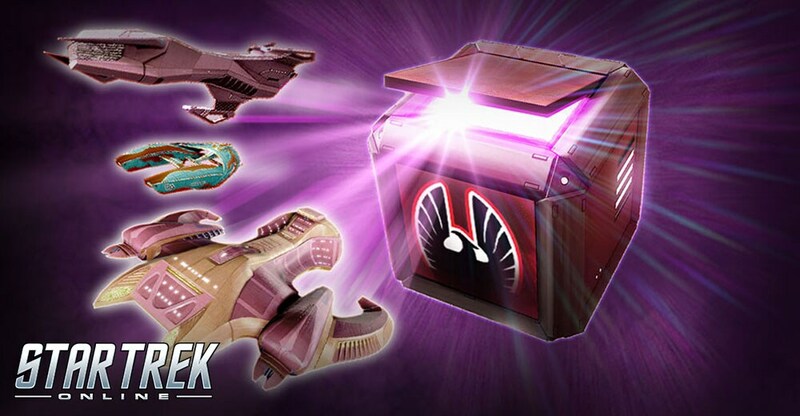 Purchasing and opening this promotional prize pack will offer players the unique opportunity of obtaining many otherwise inaccessible items, ships and equipment, which were previously available from events or promotions, or as other limited-availability rewards. How it works is simple: Players may visit the Dilithium Store to purchase a Phoenix Prize Pack for the price of 4,500 Dilithium, or in packs of ten for 40,000 Dilithium. Every prize pack is Character Bound when purchased, and opening the pack will reward you with one of five Prize Tokens of varying rarity: Epic, Ultra Rare, Very Rare, Rare and Uncommon. Activating any Prize Token from your inventory presents you with the Redemption Store, which allows you to trade in Prize Tokens in return for your choice of item from a selection of retired items from the history of Star Trek Online. In lieu of redeeming your Prize Token for an item that matches its rarity, you may also choose to exchange it for two Prize Tokens of the next-lower Rarity (e.g., trade in 1x Rare for 2x Uncommon). You’ll also have the option to exchange 10 Uncommon Prize Tokens for another Phoenix Prize Pack, giving you another opportunity at receiving the rarest prizes. To celebrate the debut of this new promotion, all players will also have the ability to claim a free Phoenix Prize Pack once per account, once each day while the promotion is active. Each time this is claimed, players will also receive a 1x-Use version of the “Phoenix Replica Smallcraft” Admiralty Ship. This daily account prize may be claimed by visiting either Grym on Drozana Station, or Onna at Deep Space Nine. While the event is active, players may accept a mission from their Journal that will aid in locating these new contacts. ** All prizes obtained via this promotion – including Starships – are Bound to Character, and do not result in any Account-Wide Unlocks. Prize Tokens are Account Bound. The Phoenix Prize Pack will be available for a limited time only, so act fast if you wish to make the best use of this promotion before these limited-access items are once again sent into retirement.